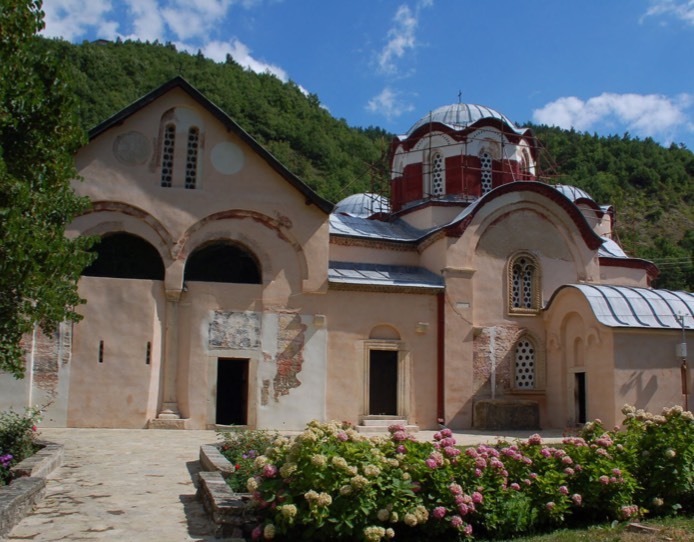 The Patriarchate of Pec is one of the most important Serbian medieval monasteries in the Serbian province of Kosovo and Metohija. 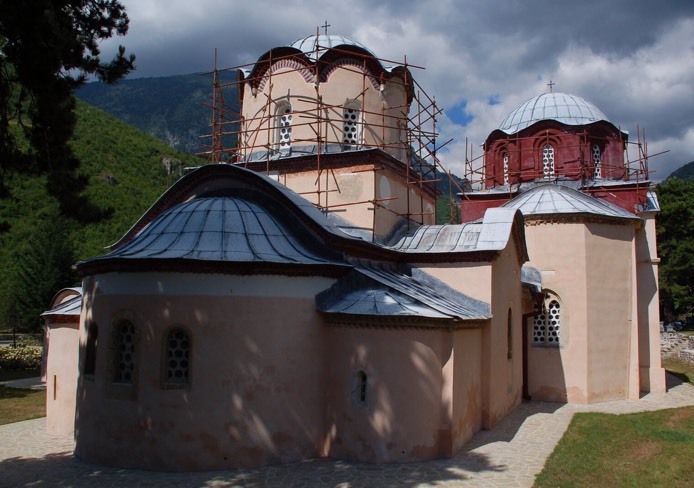 The church complex consists of four churches dating back to the 13th and 14th centuries: The Church of the Holy Apostles, The Church of St Demetrios, The Church of the Virgin Hodegetria, and The Church of St Nicholas. The complex experienced difficult times during the early Turkish occupation. 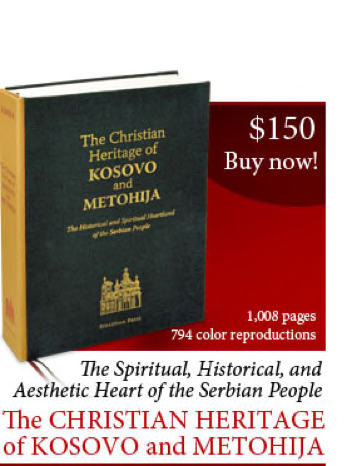 However, with the restoration of the Serbian Patriarchate of Pec in 1557, the place regained its focal spiritual and political role. 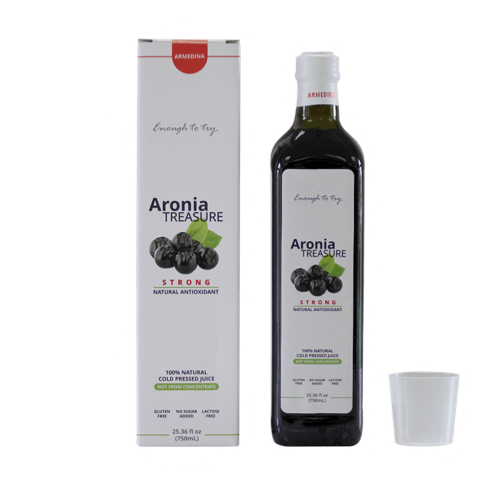 Aronia, Gift Of A Good Health! Numerous studies have linked aronia berries to potential health benefits such as helping to fight cardiovascular disease, normalizing blood pressure, diabetes prevention & help, urinary tract health, weight control, anti-carcinogenic effect, and many more. 5% discount with BLAGO discount code. The Church of the Holy Apostles is the oldest church within the complex. It had been elaborately planned by St Sava and built accordingly. The oldest parts are its altar and sub-domical spaces, as well as the choirs. Due to the later construction of the adjacent temples, the western end has not retained its original look. The church was built in stone, plastered and painted throughout. The earliest frescoes, those in the altar and under the dome, date back to the mid-13th century. Their topical complexity indicates that Sava and Arsenije I had an impact on their theological contents. The frescoes on the South and west walls, probably commissioned by King Milutin, include the portraits of Stefan the First-Crowned and Uros I. Two pilasters and the arc connecting the between the west and north bays were presumably painted between 1350 and 1354. Shortly afterwards, because some frescoes had decayed, the choir space was also repainted. 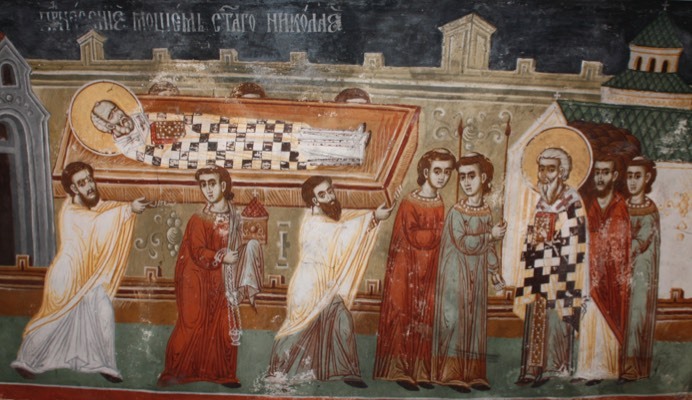 In those years, the composition of patriarch Joanikije's Dormition was created above his sarcophagus. C. 1620. 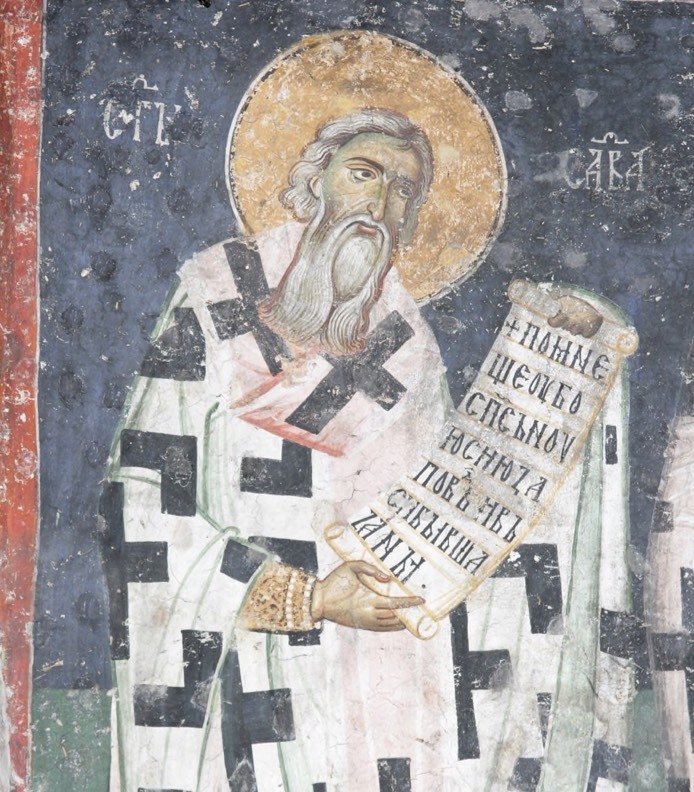 Georgije Mitrofanovic portrayed Patriarch Jovan in the niche of the west wall. 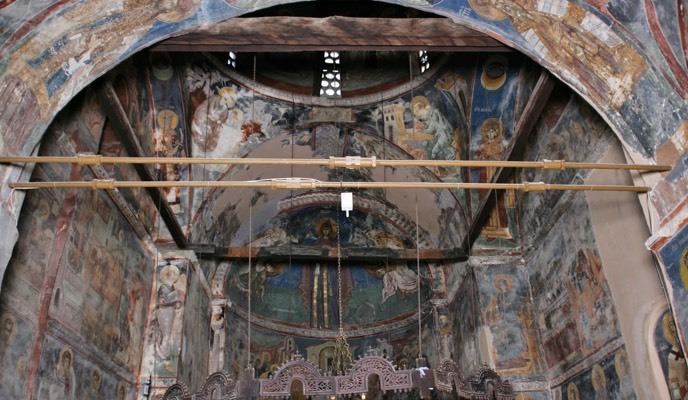 Patriarch Pajsije partially financed the renovation of the deteriorated frescoes in 1636. The Church houses the relics and graves of three archbishops, Arsenije I, Joanikije II and Sava II. 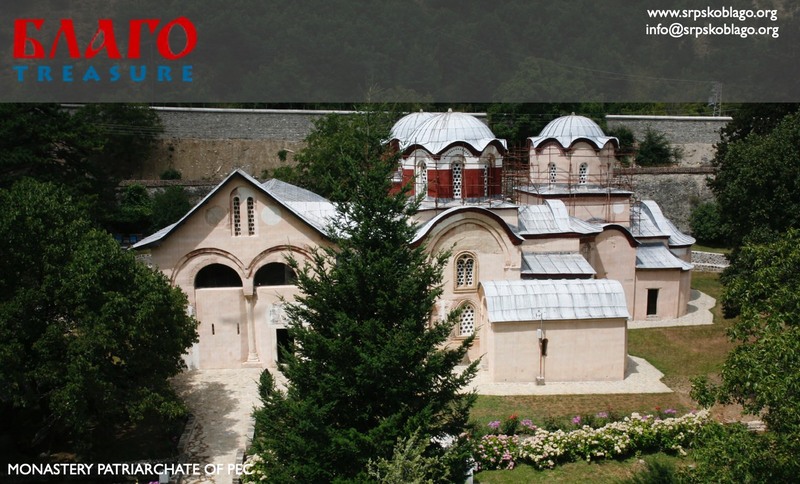 The Church of St Demetrios was founded by Archbishop Nikodim (1317-1324). It has the form of a shortened cross with a spacious dome and was built in alternate courses of brick and stone. The entrance is framed with a harmonious stone portal. Joanikije is to be credited for the frescoes painted towards the middle of the 11th century, which were renovated in the early 17th century. 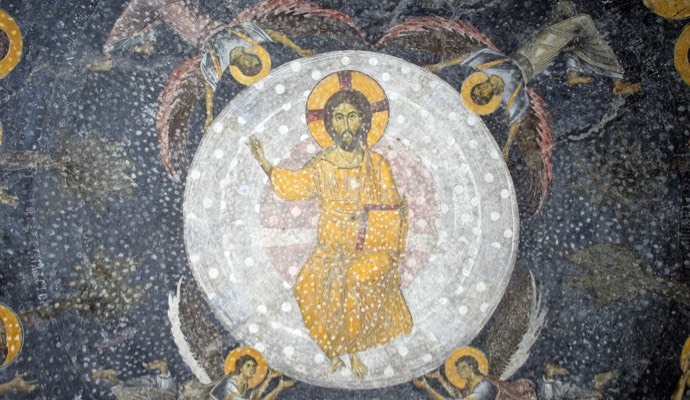 The frescoes consist of valuable portraits of Emperor Dusan, his son Uros V and Patriarch Joanikije, and also a worthy composition of two Serbian Councils on a vault in the western part. The church houses the relics of patriarchs Jefrem and Sava IV. The Church of the Virgin Hodegetria was built next to the southern side of the Holy Apostles, c. 1300. 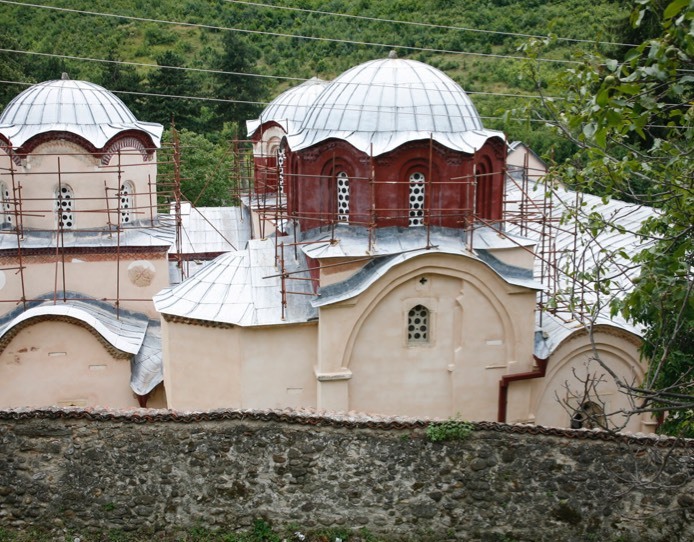 It was commissioned by Danilo II, to counterpart the church of St Demetrios. The ground plan has the form of a floral cross with an octagonal dome borne by four free-standing pillars. The temple is divided into three longitudinal spaces, and its two-light windows on the east and south facades have certain Gothic elements. The church was painted in 1330s. The founder composition on the west wall testifies to the fact that Danilo II had commissioned those works as well. 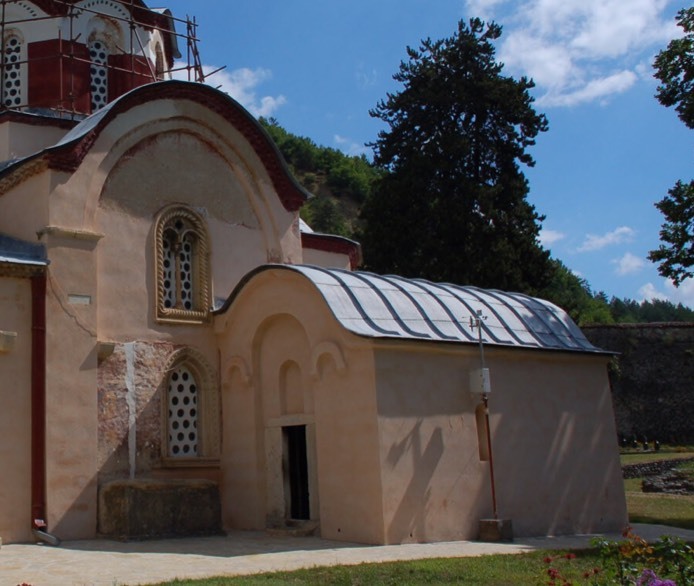 The Church of St Nicholas is a small church, also founded by Archbishop Danilo II. It consists of a single nave building with a tripartite apse of brick and stone. The tunnel vault is strengthened by an arch resting on two pilasters. The original frescoes have not survived. 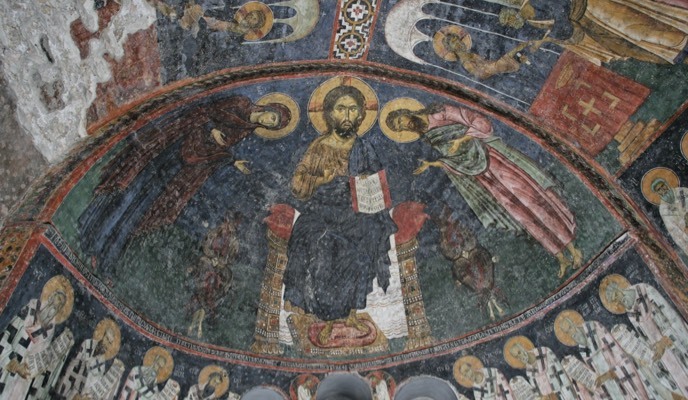 The latter painting of the church, in 1673, had been commissioned by patriarch Makarije. 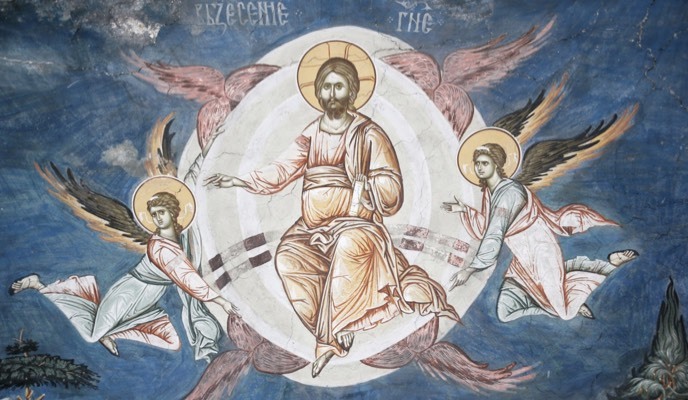 The frescoes were created by Radul, the most famous Serbian painter of the late 17th century. 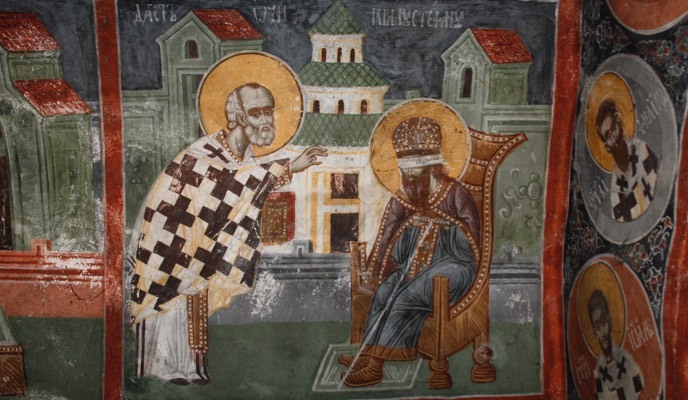 The founders composition on the south wall shows St Nicholas taking Patriarch Makarije to Jesus Christ. 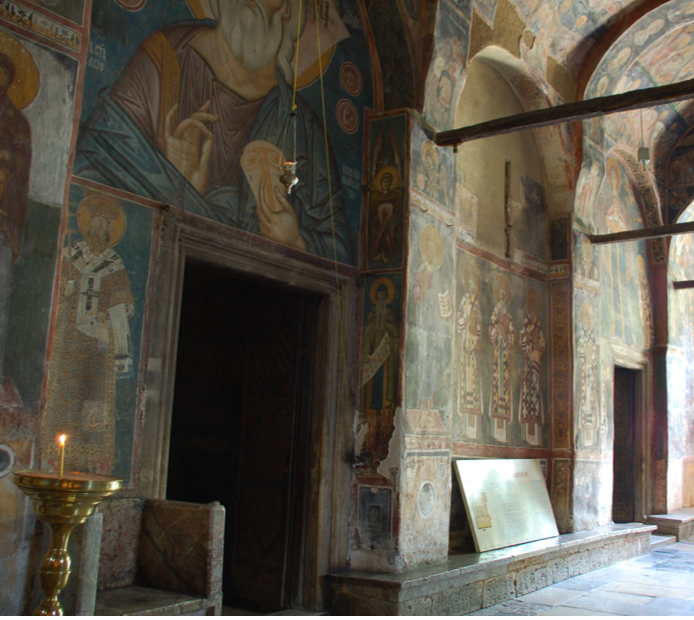 On the north wall, there are the portraits of the Serbian saints Simon Nemanja and Sava, as well as archbishops Arsenije I and Danilo I. The Narthex was erected by Archbishop Danilo II in early 1330s, as an ante-church to the three adjacent temples. As first, it was open to three sides and five buttresses were used to carry the whole mass. Since the narthex had gradually deteriorated and became insecure, the arched openings were walled up within the restoration in 1560s. 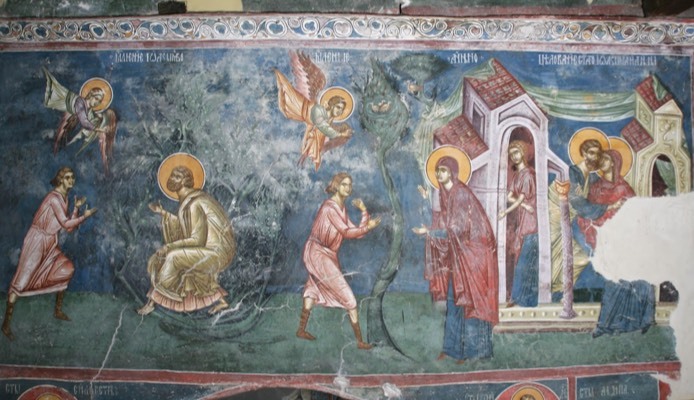 Little has been preserved of the original frescoes that had adorned the whole narthex in the time of Danilo II. Noteworthy is the genealogy of the Nemanjic Dynasty beginning with Nemanja and ending with King Dusan. Among the individual figures, the representation of the breastfeeding Mother of God stands out. The facade of the narthex was painted at one time as well. After the Bishoprics of the Serbian Orthodox Church united in 1920, Metropolitan Dimitrije was enthroned in Pec as the first Patriarch, after 1766, of the renewed Serbian Patriarchate. Ever since, all the elected patriarchs have been enthroned ceremonially in this monastery. The Patriarchate of Pec is a monastery under the administration of the Patriarch himself and it is exempted from the jurisdiction of the regional bishopric. Help us reach our goal for the next year. 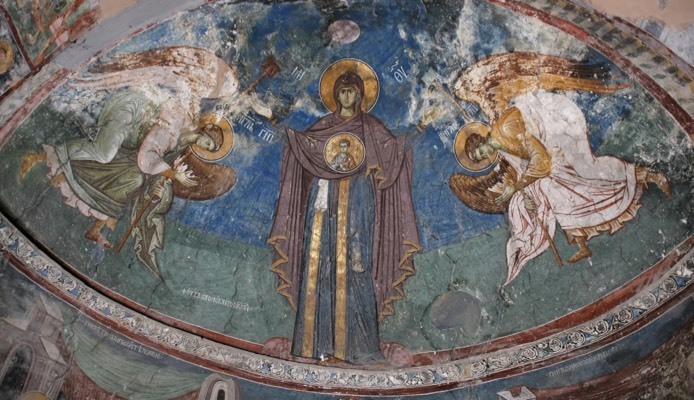 Many collections are planned, including the Church of Bogorodicia Ljeviska in Prizren, and rare manuscripts from Kosovo monasteries, but it will all depend on the funds available. Our goal is to raise $10,000 in donations that we can match with funds available for this purpose from our long-time patrons and institutions.